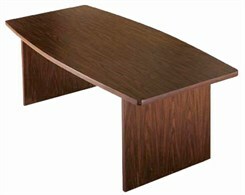 48" x 144" Boat Shaped Conference Table w/Folding Base - 24 Colors & More Sizes Available! Home / Conference Room / Conference Tables / 48" x 144" Boat Shaped Conference Table w/Folding Base - 24 Colors & More Sizes Available! Ready to use conference tables with no assembly! Made in the USA! The unique design of this boat-shaped meeting table series features table bases that are pre-installed and simply fold out. Just fold, flip and use! 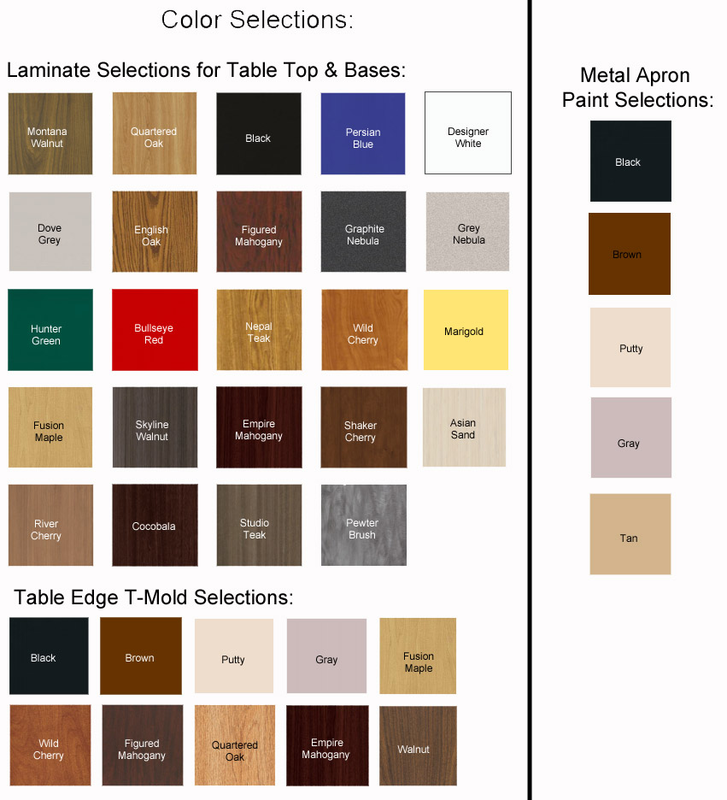 All tables feature durable high pressure laminate construction in over 24 attractive colors. Choose from sizes ranging from 6' to 12' long! 48" x 144" Boat-Shaped Conference Table sold above. See other sizes below. 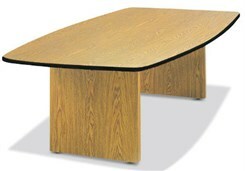 48" x 144" Boat-Shaped Conference Table stands 30"H. Measures 48" in center, tapers down to 38". Accommodates 10-12 people. Shpg wt. 580 lbs. PRICE INCLUDES SHIPPING! (Truck shipment - See Terms & Conditions). Please allow 3-4 weeks for delivery. * High pressure laminate construction is long lasting, scratch resistant and easy to clean. 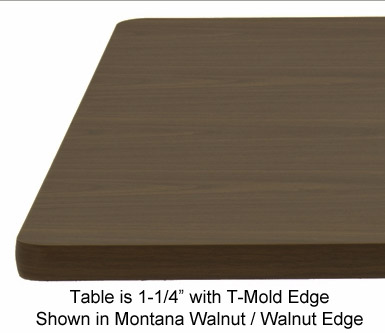 * Table tops are 1-1/4" thick and feature PVC edge banding. 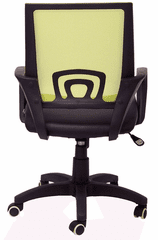 * All table sizes feature one piece table tops with two folding bases. * No customer assembly! Bases fold out, the table is turned over and the table is ready to use! * Table bases are 1-1/4" thick. 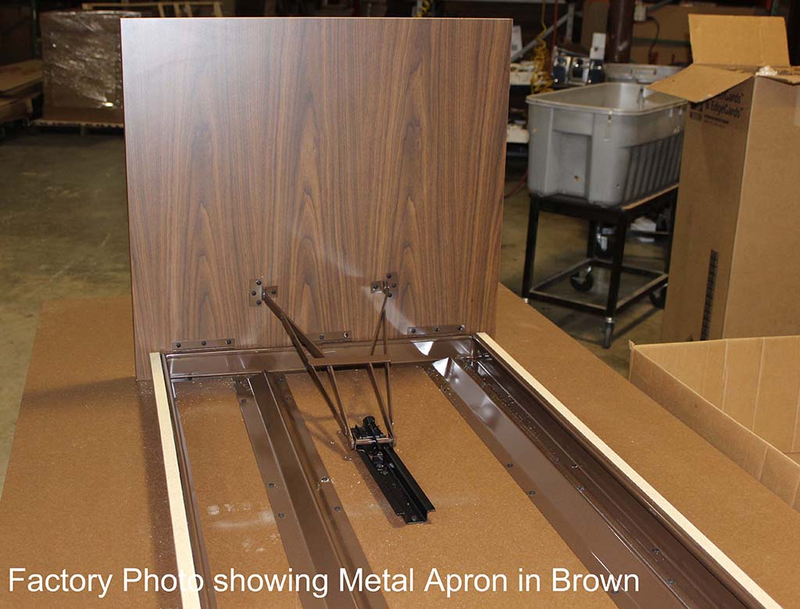 * Metal apron between table bases provide strength and stability. * Lifetime Warranty on bases, 5 Year Warranty on Table top! 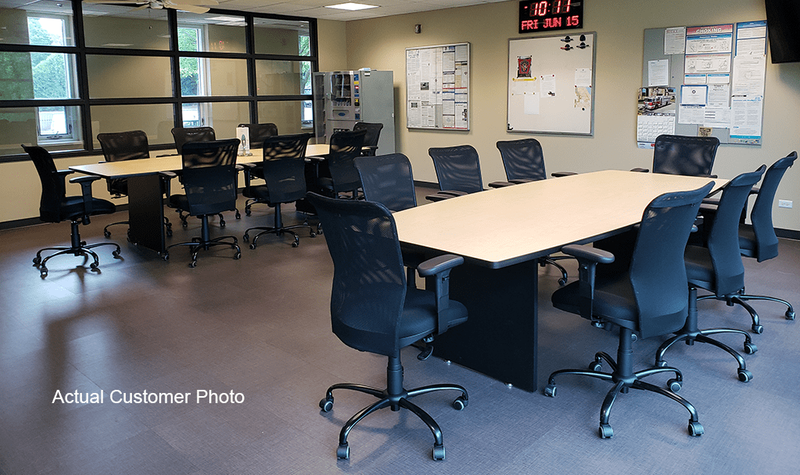 10' meeting table accommodates 8-10 people. Measures 48" in center, tapers down to 38". Stands 30"H. Features high pressure laminate construction, PVC edge and folding table bases. No assembly required! Shpg wt. 490 lbs. PRICE INCLUDES SHIPPING! (Truck shipment - See Terms & Conditions). 8' meeting table accommodates 6-8 people. Measures 48" in center, tapers down to 38". Stands 30"H. Features high pressure laminate construction, PVC edge and folding table bases. No assembly required! Shpg wt. 392 lbs. PRICE INCLUDES SHIPPING! (Truck shipment - See Terms & Conditions). A more narrow version of the table above. Accommodates 6-8 people. 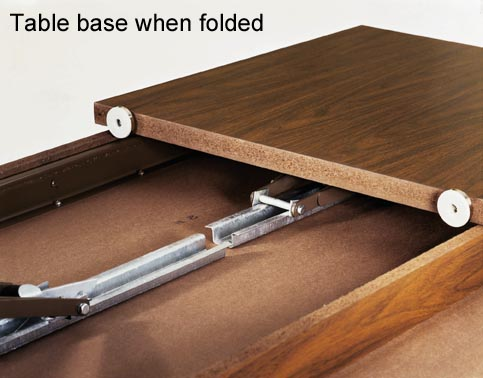 Stands 30"H. Features high pressure laminate construction, PVC edge and folding table bases. No assembly required! Shpg wt. 294 lbs. PRICE INCLUDES SHIPPING! (Truck shipment - See Terms & Conditions). 6' meeting table accommodates 4-6 people. Stands 30"H. Features high pressure laminate construction, PVC edge and folding table bases. No assembly required! Shpg wt. 153 lbs. PRICE INCLUDES SHIPPING! (Truck shipment - See Terms & Conditions). 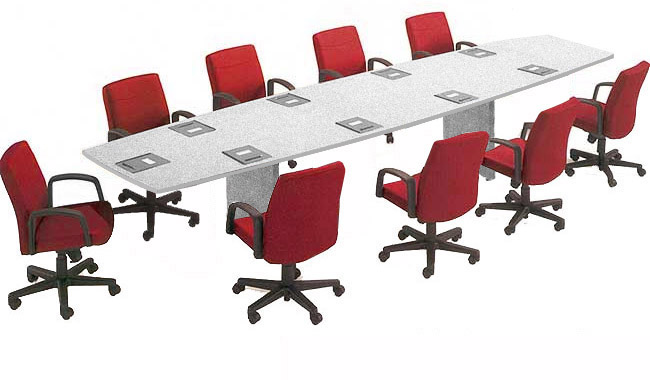 144" x 48" Rectangular Conference Table with Folding Bases - 24 Colors & More Sizes Available!